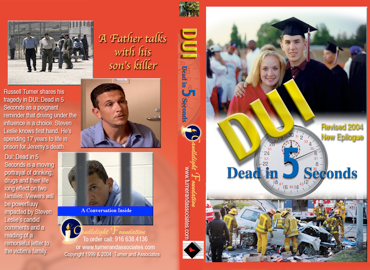 Russell Turner shares his tragedy in DUI: Dead in 5 Seconds as a poignant reminder that driving under the influence is a choice. Steven Leslie knows first hand. He’s spending 17 years to life in prison for Jeremy’s death.